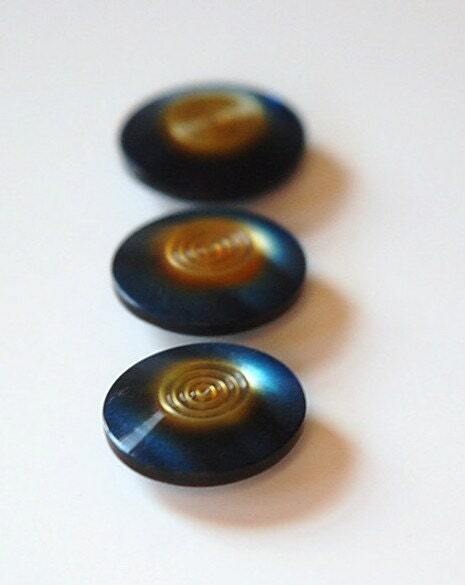 These are vintage buttons made from some type of plastic. 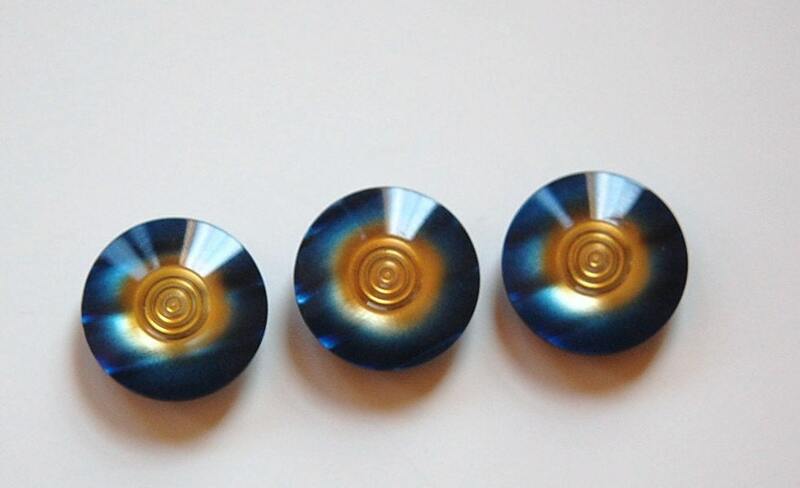 They are a metallic blue color with a golden center. The center have an etched circle design. These have a plastic shank back. They measure 21mm / 7/8" round. You will receive 3 pieces. Perfect! 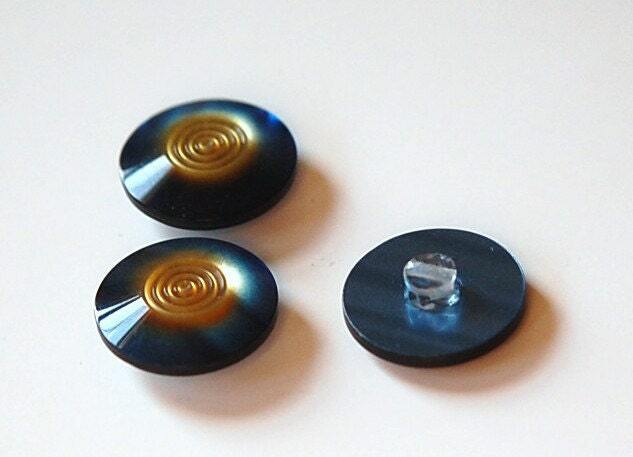 Unique buttons, and well priced. Arrived fast and in perfect condition. Gorgeous -thanks so much for these!